One of the busiest drug counseling centers in New York schedules unnecessary and sometimes unproductive appointments for its clients, inflating the Medicaid bills that get passed along to the taxpayer, former clients and employees of the center allege. 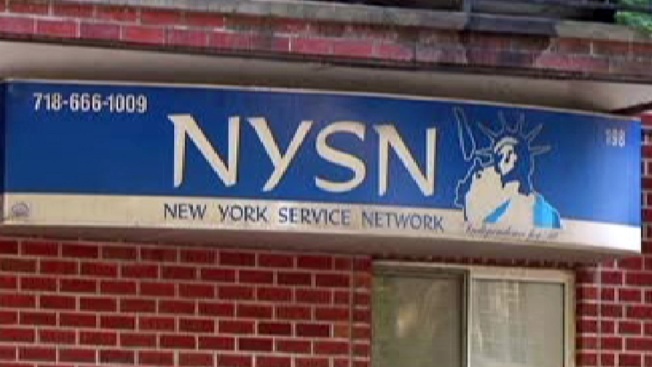 According to accounts from recovering addicts who spoke to the I-Team, the Brooklyn outpatient clinic, New York Service Network (NYSN), has repeatedly scheduled them for individual and group counseling sessions, even when those appointments were not recommended by counselors or interfered with job interviews and work schedules. “If I would have taken a job during the day, I would have been discharged,” said one recovering addict who didn’t want his identity revealed. Several recovering addicts told the I-Team similar stories of being ordered by their landlord -- who operates a Brooklyn sober home -- to attend four or five sessions a week at NYSN, even after counselors reduced their appointment load because they were making good progress. Imbert and other recovering addicts say they were threatened with eviction from the sober home if they did not bring back tickets showing they had swiped their Medicaid benefits card at the outpatient clinic. One former client, who asked to be called “Mr. A,” told the I-Team he was ordered to go to drug counseling sessions even though he has never struggled with substance abuse or addiction. Mr. A said he ended up at the sober home after he lost his job making marketing phone calls for an insurance broker and after he wore out his welcome at a friend’s home. Contacted by phone, the owner of NYSN, Dr. Lazar Feygin, said he has no relationship with sober homes that supply many of his clients. Pro Publica was first to expose the alleged relationship between NYSN and sober homes, also called three-quarter homes. Investigative reporter Jake Bernstein found NYSN is the seventh busiest non-methadone drug clinic in the state, and gets nearly all of its clients from sober homes. The Pro Publica report found sober home properties operated by Yury Baumblit referred more Medicaid patients to NYSN than any other sober home operation. NYSN billed New York’s Medicaid program $3.2 million in 2012, according to Pro Publica. Baumblit did not return the I-Team’s request for comment. Contacted at her home, Baumblit’s wife Rimma said she is co-owner of the sober home business and neither she nor her husband get any personal benefit for making Medicaid referrals to NYSN. “I am a landlord. That’s it. Nothing else.” she said. In 2010, lawyers from MFY Legal Services, a nonprofit that represents low-income tenants against New York City landlords, filed a class action suit against Yury Baumblit alleging he illegally harassed sober home residents, provided substandard living conditions, and forced them to sign away their rights protecting against unlawful eviction. Attorneys Matthew Main and Tanya Kessler are now appealing the decision. They argue sober homes should be treated as plain landlords -- and they have no right to order tenants to swipe their Medicaid cards at any particular clinic. “It’s no different than my landlord or any landlord requiring you to go on a diet,” Main said. The I-Team could find no such license under Yury Baumblit’s name or his wife’s name. A lawyer for NYSN, Joseph LaBarbera, also denied his clients are guilty of wrongdoing. LaBarbera also said NYSN’s rate of graduating recovering addicts exceeds that of comparable facilities in New York City. In 2011, the New York Health Department forced NYSN to pay back more than $2.5 million in Medicaid overpayments for drug counseling sessions that occurred between 2003 and 2007. The clinic appealed that decision but it was denied. Feygin told the I-Team most of the improper bills were a result of honest paperwork errors like counselors forgetting to sign documents. When Mathis recommended some of her counseling clients have fewer appointments because they were progressing in the program, she also heard stories that they were threatened by Yury Baumblit’s sober home staff. Mathis left her employment at NYSN after a dispute with Dr. Feygin, the clinic owner. She says the managers branded her as “difficult” because she insisted on ethical billing practices. LaBarbera did not answer the I-Team’s questions about her exit from the company. The Attorney General’s Office does not generally comment on the existence of ongoing investigations. Lillian Imbert is no longer living in the sober home operated by Yury Baumblit. She says she is alcohol-free, getting her life back together, and earning income in the jewelry business. She hopes by speaking out, she’ll draw attention to a relationship between a clinic and a landlord that made her feel used.